If you are engaged to be married, congratulations! 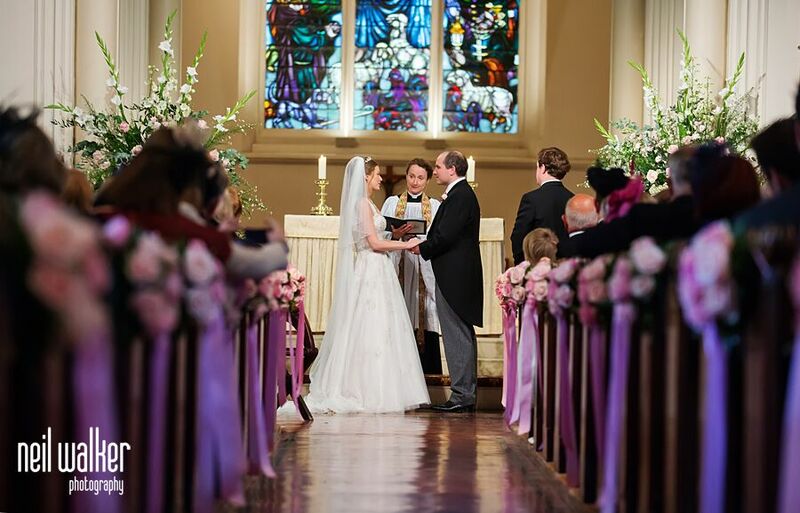 Churches have always been a special place for momentous events in people’s lives, and getting married in church is the perfect way to start your married lives together. St Mary’s is a lovely setting for a wedding and accommodates friends and family from 20 to 250 with ease. 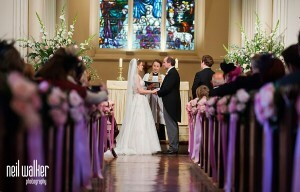 The church is beautifully maintained and looks stunning with wedding flowers and candles. In addition it is set in a garden where you may wish to have photographs and your guests can assemble and mingle. has at any time regularly (that is at least twice a month) gone to normal church services here for a period of at least six months. has regularly gone to normal church services here for a period of at least six months. If you cannot demonstrate any of the above connections, the easiest thing is to simply come along to one of our usual services at least once a month for six consecutive months. If you decide to do this, leave enough time after your attendance for the banns to be read before your wedding too – about another two months should be enough. If you’d like to be married at St Mary’s, the first step is to come and speak to a Warden after one of our Sunday Services. Clicking the banner below will take you to the CoE’s dedicated Wedding site to help you plan your wedding.